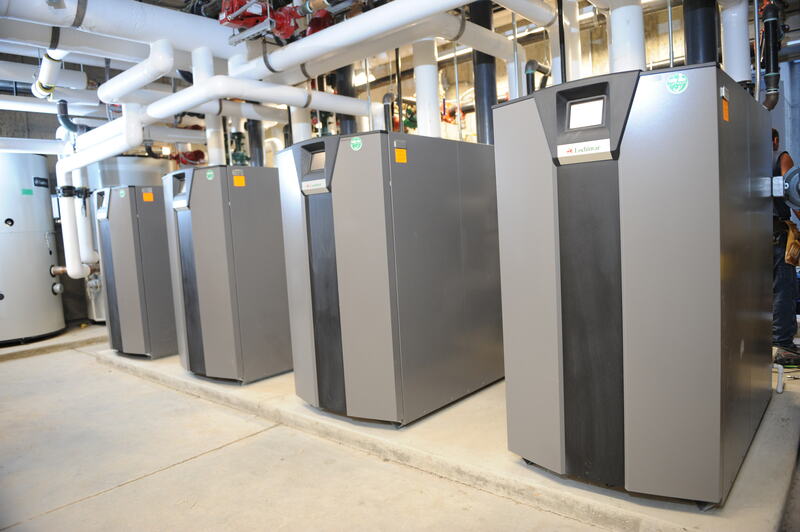 Chiller / Boiler / Cooling Tower Replacements – Legacy Mechanical & Energy Services, Inc. 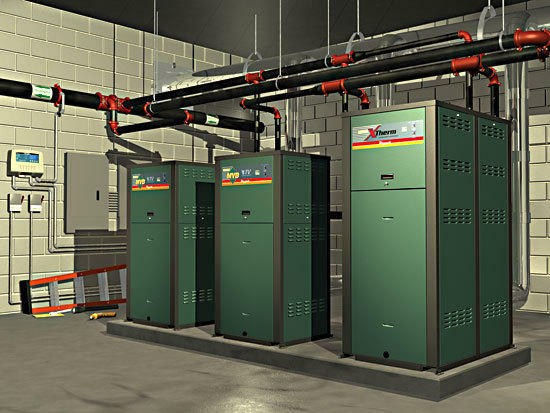 Some of the most challenging projects handled by the Legacy SPTI Department are the upgrade and replacement of central system equipment such as large chillers, boilers and cooling towers. 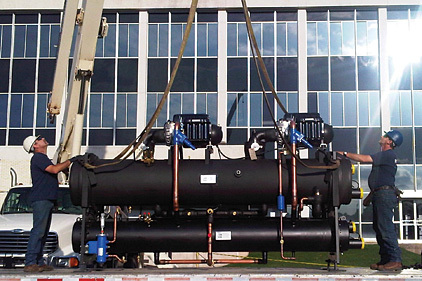 Whether this involves a helicopter lift of a 600 ton cooling tower on a 20 story building, or easing a 400 ton chiller weighing 31,000 lbs. through a temporary opening in a building with just one-half inch clearance on each side, Legacy is skilled in the pre-planning, organization, safety, and execution of this work. 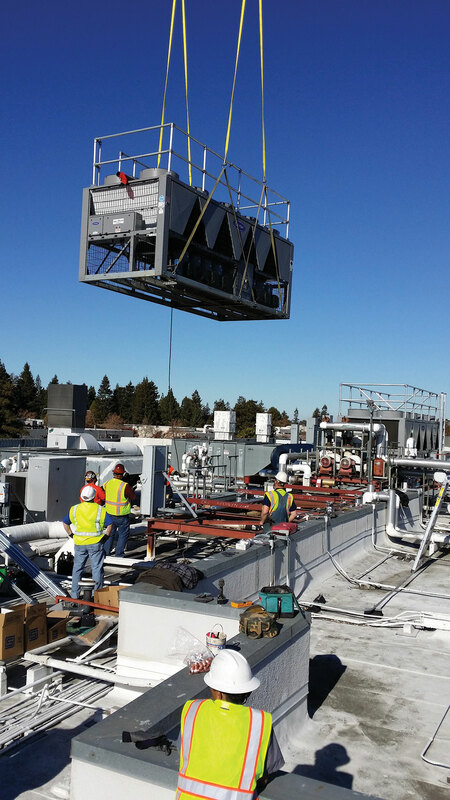 Our SPTI installation teams stand tall in the HVAC world and are consistently praised for their performance by customers, general contractors and consulting engineers.